Last month (January), we as Genesis fasted. Our aim was to distance ourselves from whatever may be hindering us from a deeper relationship with God. Below is a list of the things we decided to fast from in the month of January. Some of the things we fasted from were a little unconventional but we decided to look deep within and not do what just naturally comes to mind when we think of fasting. Also Brother Idrees Oloyede helped explain why we are fasting in depth explanation. Hope you are blessed by this post! Why: My love for sweets has become ridiculous! Everyday it’s sweets this and sweets that always asking people oh do you have sweets. All that time that I am looking for sweets I could be looking for God. Fasting from: Food and social media. Why: I eat when I feel like it. If I’m honest, in the past I have had to stop a fast I planned for a particular day because I woke up hungry and wanted to eat. This had made me then become relaxed and lazy. I want to learn to discipline the flesh and so work on my spirit! I spend a lot of time on social media such as Facebook (..procrastinating). The time I use to browse through photos, I could be reading the word or simply using the time to speak to God and draw nearer to Him. Why: This is because I eat it too much and its like sometimes I feel like I can’t survive without it. So I want to overcome it. Why: Because I am quick to find comfort in tv shows when I have a lot to do and when I do not have much to it. I use watching movies and TV shows to calm my mind. And in turn I forget to read my bible or even bother to study it. Secondly sweet things like chocolate, candy, drinks or the junk in life, because I now associate it with being happy, for whenever my mood is down, which happens to be nearly everyday. I know I’m really going to struggle with the sweets part. Why: I have realised that I have been eating a lot due to boredom or for company. The time I should be spending time with God is the time where I always watch movies or tv shows, bearing in mind I know what I’m doing I’m just procrastinating or just pure laziness. Why: I find comfort in food which leads to me over eating (gluttony-which is a sin). I want to learn to find comfort in the word instead of food. Why: Food and Sugar. Sugar more so because for me personally I RUN to sweet food when I’m unhappy/sad/angry INSTEAD of running to God. 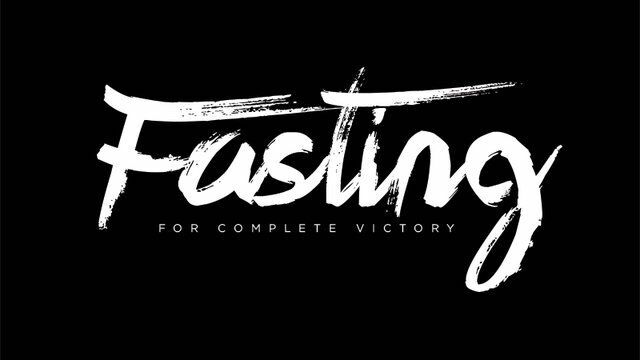 Why: Fasting the biblical way because out of it comes my spiritual sensitivity, spiritual growth,spiritual maturity and seeking His face. Why: because I eat and snack a lot when I’m ‘bored’ and I have become lazy when I could be using that time in Gods presence and building that relationship. Why: Food abstinence breaks down the flesh makes me pray more and makes me spiritually sensitive to God. Also I want to study The Word more, increase my worship and prayer life so social media must go or kept to the minimum. Why: I have noticed that, Instagram, Facebook, Twitter (i am contemplating whatsapp) hinder me from seeking Gods face as I desire to. The time where i should be reading my bible or praying is the time I am distracting myself on these social medias. Trust me its not the easy way out.. But for me the social media is more of a sacrifice than food. Why: I need to discipline both my Physical and mental for the spiritual part of me to grow. I am constantly feeding the physical. I am constantly feeding the mental but tend to neglect the spiritual. This fast should hopefully change that. Why: I feel church has become a bit of a routine for me and I just want to step back and truly seek Gods face. Also I spend a lot of time watching Greys Anatomy. Why: Because every time I wake up in the morning the first thing I do is go down stairs and watch TV. So in the time am fasting from TV I will try to watch sermons or read the bible.